Cut to size and place over registers to keep absorb odors. Activated Carbon removes odors coming from ducts. 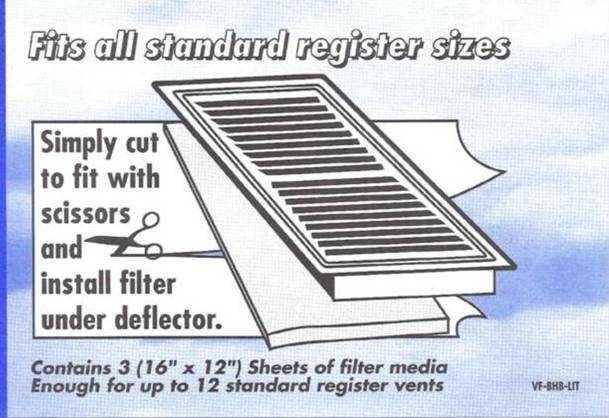 One Package contains 3 (16 inch x 12 inch) Sheets of Filter Media. That's enough for 12 (4 inch x 12 inch) standard register vents.